A leaked "memo" from the MPAA shows how movie industry insiders are being briefed to respond in media interviews on the extradition case of TV-Shack admin Richard O'Dwyer. 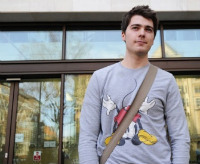 In the talking points the MPAA describes the UK student as a deliberate criminal while mocking his wardrobe. Wikipedia founder Jimmy Wales, who launched a petition to stop the extradition, is called out as "presumptuous" by the movie industry group. Last year Richard O’Dwyer was arrested by police for operating TVShack, a website that listed user-submitted link to TV-shows. 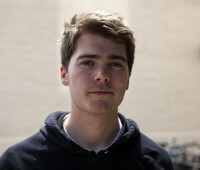 The UK student has since fought a looming extradition to the US, but thus far without success. In March, Home Secretary Theresa May officially approved the extradition request from US authorities. In June the case was once again brought to the attention of the mainstream press when Wikipedia founder Jimmy Wales launched a petition to stop the extradition. According to Wales, Richard O’Dwyer is a victim of the entertainment industry’s attempt to censor and control the Internet. The memo starts by framing TV-Shack as a pirate website through which O’Dwyer made a healthy profit. The claim of O’Dwyer supporters that Internet freedom is at stake is nonsense according to the MPAA. Taking it a step further, the MPAA claims that the movie industry is one of the main beneficiaries of “freedom of speech and expression,” which copyright law helps to protect. The memo then discusses some background on the case, with a fictitious Q&A with a reporter. The first question asks for a response to the Jimmy Wales petition, and the answer is clear. The memo then goes on to describe how the TV-Shack website worked and what O’Dwyer’s role was. The MPAA sees O’Dwyer as more than just a middleman, mentions how he continued after ICE seized the domain name, and points out that the operator of a similar website was recently convicted in the UK. Finally, the MPAA writes that the TV-Shack admin is not just “a regular college student who likes playing with computers.” Despite wearing a Mickey Mouse sweatshirt, he is fully responsible for his actions. While the memo doesn’t include any shocking revelations it’s intriguing to see how carefully the MPAA briefs its friends. The full memo with some extra details is embedded below. Meanwhile, Jimmy Wales’ petition to stop the extradition is nearing a quarter million signers. TV Shack Admin Richard O’Dwyer Will NOT Be Extradited To U.S.
c There are 147 comments. Add yours?